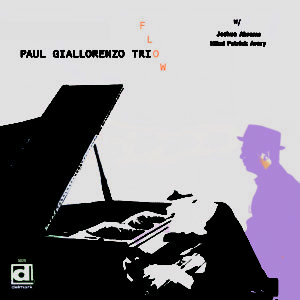 For his second Delmark release, pianist and composer Paul Giallorenzo does more with less, assembling a classic piano trio backed by masters of jazz minimalism, Joshua Abrams and Mikel Patrick Avery. The writing?s not sparse: there are notes on notes, hummable heads, surprising solos, and a harmonic conception of frequently startling complexity.? But it?s always for the purpose of advancing the music. Covering wide terrain, from high energy poly-tonal swing to abstract blues to free-form invention, this trio is in tune in the truest sense, creating music that?s embedded in the jazz tradition with a sound that?s both singular and forward-thinking.